At first glance, the Internet browserworks as it should; opens the Google search engine, opens one website, opens other website, but on certain web pages Internet Explorer crashes and demands the closure of the app. Example. Google Maps opens, but not the link send my email to map point. I have: Internet Explorer (IE) 11 on Windows 8.1 64-bit version. 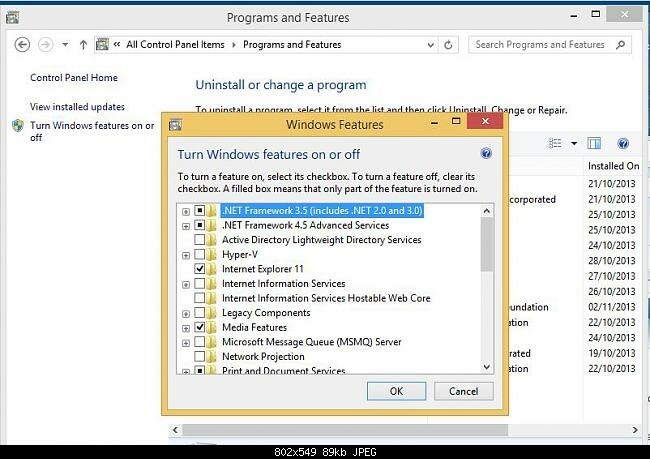 Control Panel – Programs – ON / OFF functions of Windows system – to remove the check mark in Internet Explorer 11 and reboots the computer. Then it is necessary by the same route, only that this time function starts IE 11 and reboots the computer. 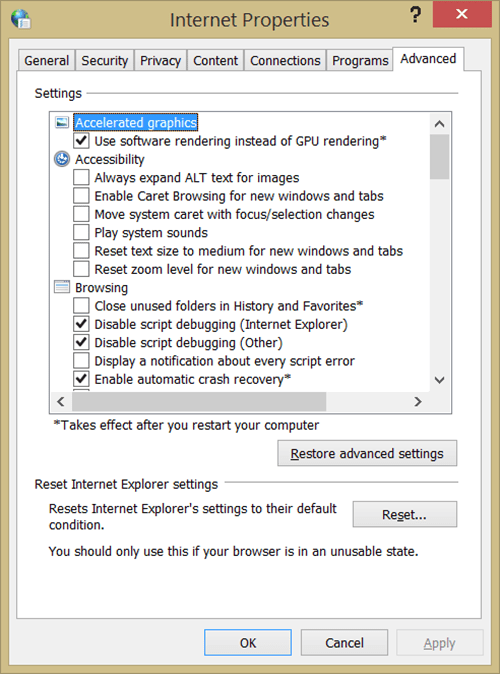 Since this did not help, I use reset the settings of IE in Internet options as second solution. Unfortunately, this did not help again, so I began to look as a third solution to a variety of Microsoft Windows fixs for this problem. The fourth solution was finally the real one and at the end of the most simple and quick solution. In interfnet Explorer just go to Tools – Internet Options and choose the Advanced tab. There is the Accelerated graphics option to tick for the Use software rendering instead of GPU rendering. This simple tick solved my problem and the internet browser is no longer collapsing. Now it’s working just like it must.